So I'm not going on holiday till late August/early september time but that doesn't mean I can't be excited and plan some holiday appropriate outfits! :) I've also included my holiday make up essentials! 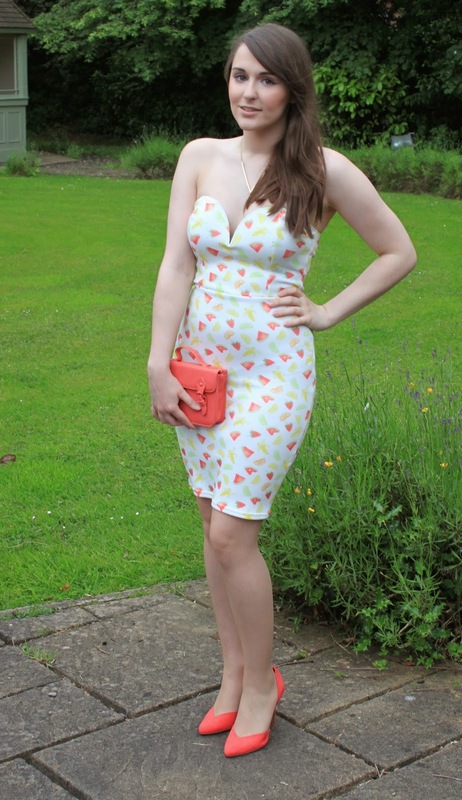 For me, holiday outfits mean lots of bright prints and florals and light clothing to keep cool! I think when I'm abroad I'm also a little more adventurous in what I wear as I feel more comfortable to step out of my comfort zone and try new things! Generally day wear for me abroad is a bikini, a kimono and some flip flops - but of course you do need some light outfit options for when you're exploring! Me and my partner always end up lost on some isolated mountain together or in a random cafe in the middle of nowhere - but I think thats the fun of it! :) Here are a couple of day wear outfits I will be packing! 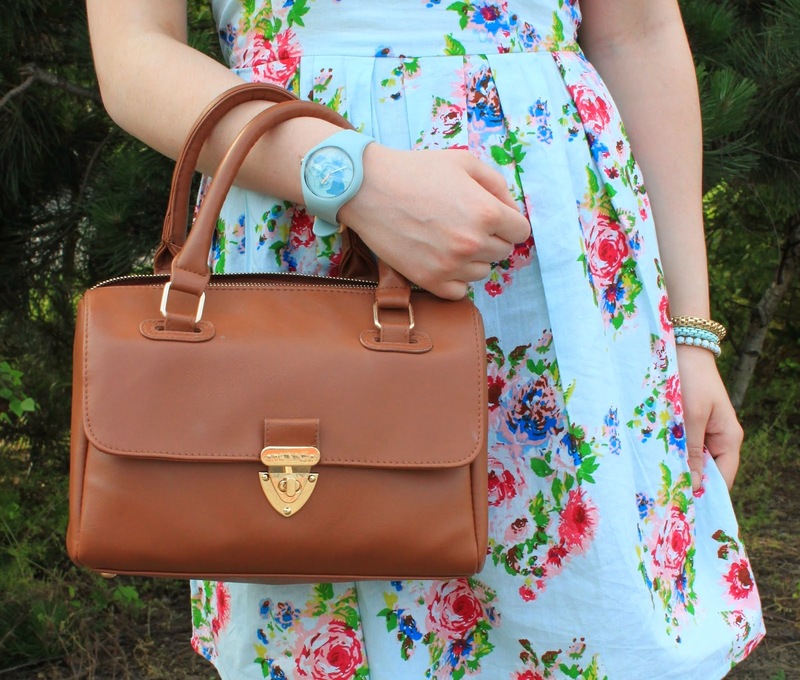 I love the colours on this bright floral strapless dress, and it goes perfectly with the lovely Breo watch I recently received for a perfect pastel summer look! 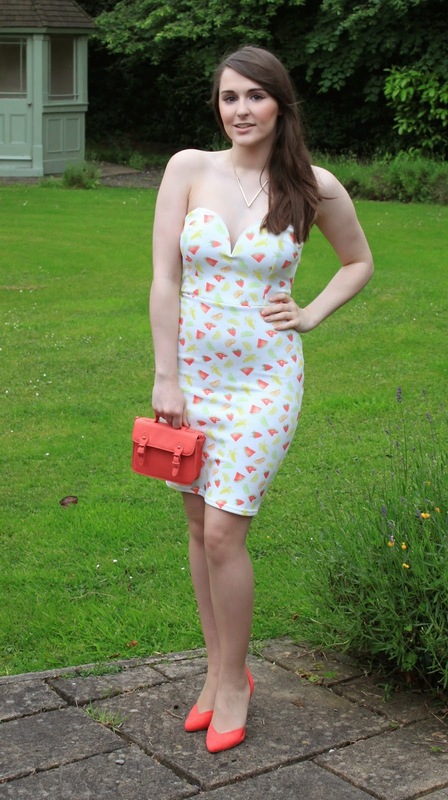 One of my favourite outfits! I don't know why but the print on this top just reminds me of holidays! And I love how it looks with the white crotchet skirt! 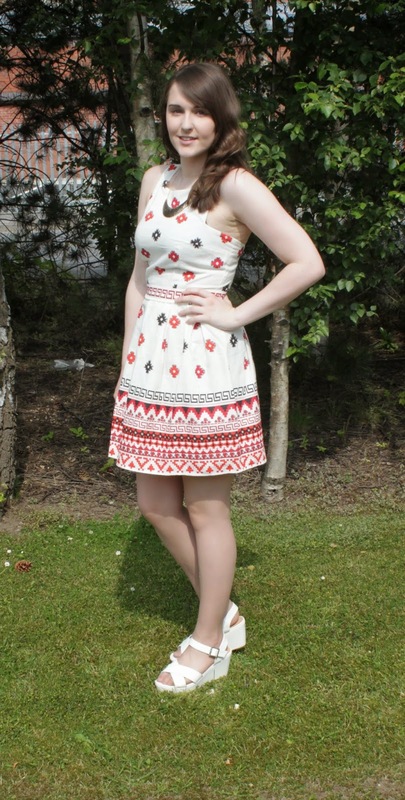 Another holiday inspiring print - this tapestry dress caught my eye straight away when I spotted it in Topshop! 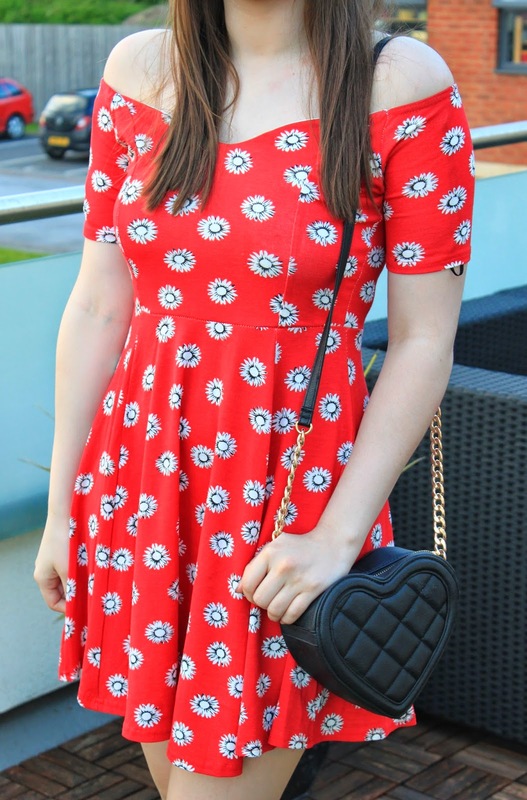 I love this red dress from Omg Fashion - I've seen similar in some other online retailers but this one is much more purse friendly at only £20! For the hot summer days it has to be minimalistic - I definitely can't cope with foundation in the heat! 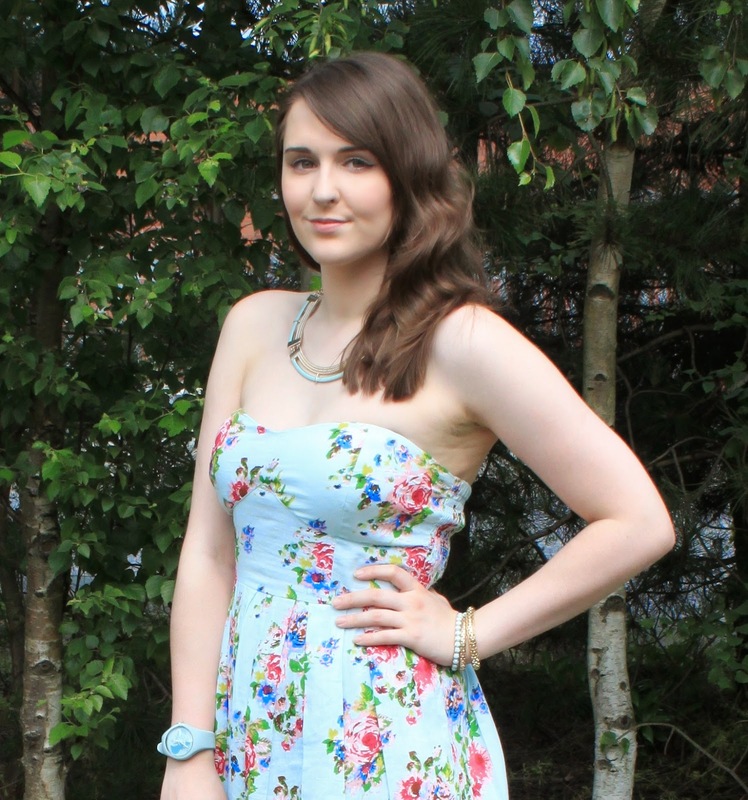 Here are the few products I'll be wearing on my face this summer/holiday! I've mentioned this mascara before (see here) but it had to be mentioned again for the holiday edit! The most perfect water resistant mascara ever! You can jump in the pool and it stays on fine, and then jump in a hot shower and it falls off beautifully without any pander eyes or effort! It's my go to mascara from clinique and I just LOVE it! Everyone raves about the collection 2000 concealer however I find it drys quite quickly and isn't a patch on my trusty Rimmel concealer! I rub a small bit between my fingers (to warm it up so it goes on easier) then lightly pat it under my eyes and around the redness of my nose! I also hide the odd spot with it! Just to help with shine on the nose and and rest of T zone! I go for silky beige to add a bit of colour too! This little beauty is not only moisturising but it leaves your lips with some nice colour which stays on very well I find! You are going to look gorgeous on your vacation!! I'm seriously so envious of your dress collection. I especially love the maxi skirt look and tapestry print dress. Can't wait to see photos of your trip! Have fun! Gabby. 25. Chemistry graduate turned Digital Marketing Manager. A Leeds girl always on the look out for new things to try, good food to eat and shopping bargains to snap up! Email me at whatshebuysblog@gmail.com. (Unless you want to transfer me some unclaimed sum of money or sell PPI). Angel Eye London Press Day! Uncommon Nonsense 1st UNbirthday Party! © What She Buys . All rights reserved.